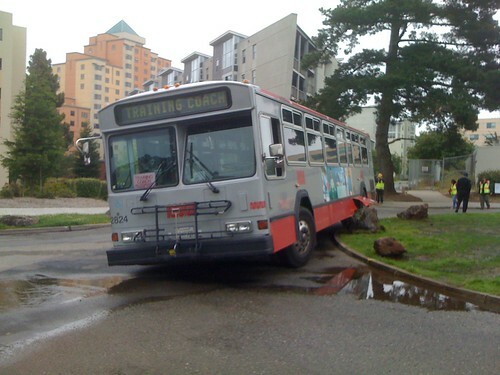 And you thought your day on Muni was bad. The trainee driver hit a rock! See more photos by clicking here, and here. 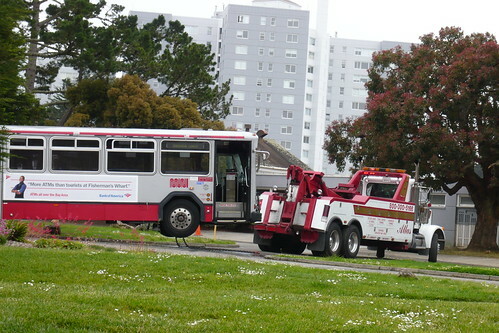 UPDATE (11:39 AM): Tow truck on site. See below. Awwww! Come on now! Give the poor guy another chance! Those are some huge buses! lol, right on Font. That must have been convenient!